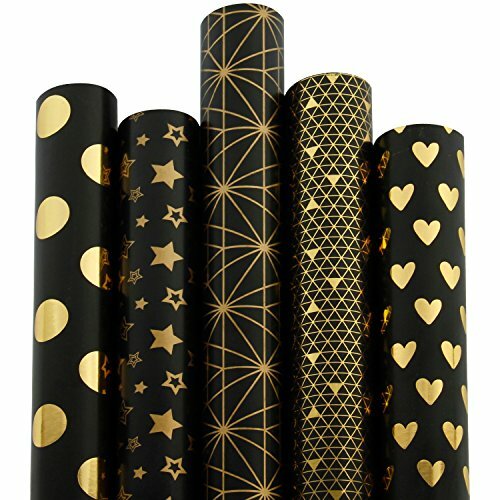 SIZE: Each roll is 30inch(76cm) wide and 10ft long, 80gsm weight.Total 5 roll wrapping paper. ALL OCCASION: Design work well for any occasion -- birthday, shower, congrats, wedding, and holiday gifts.Also great for craft projects, table coverings, and other artistic inspirations.ADD TO CART NOW! NO CREASE: Comes in roll form consisting of 5 separate individually wrapped in plastic, not folded so no creases! ALL OCCASION: Design work well for any occasion -- birthday, shower, congrats, wedding, and holiday gifts.Also great for craft projects, table coverings, and other artistic inspirations. If you have any questions about this product by RUSPEPA, contact us by completing and submitting the form below. If you are looking for a specif part number, please include it with your message.